One advantage to getting married in the south is outdoor wedding venues can pretty much be enjoyed year round. Spring and Fall may be ideal months for marrying al fresco, but as the saying goes, "If you don't like the weather, just wait a minute and it will change." 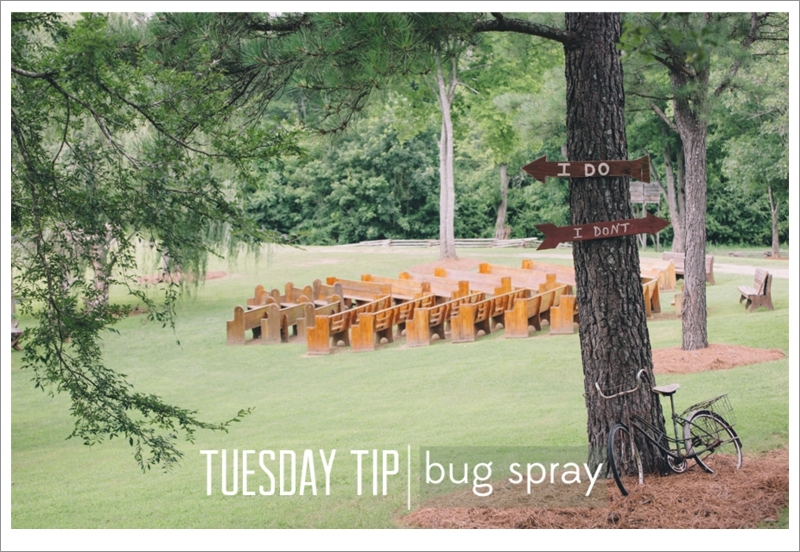 If you're getting married this summer in the south, though, there is definitely one item you won't want to forget: insect repellant! My grandmother says I'm just sweet, but there's nothing worse than stepping outside, breathing in a deep breath of fresh air and then noticing you've already gained a handful of whelps from bug bites in the two minutes you've been out in nature. So much for enjoying the great outdoors! One of our recent brides had me covered! With bottles of repellant sitting next to program fans at their ceremony site entrance, guests could relax and rejoice as they watched the two say their vows. 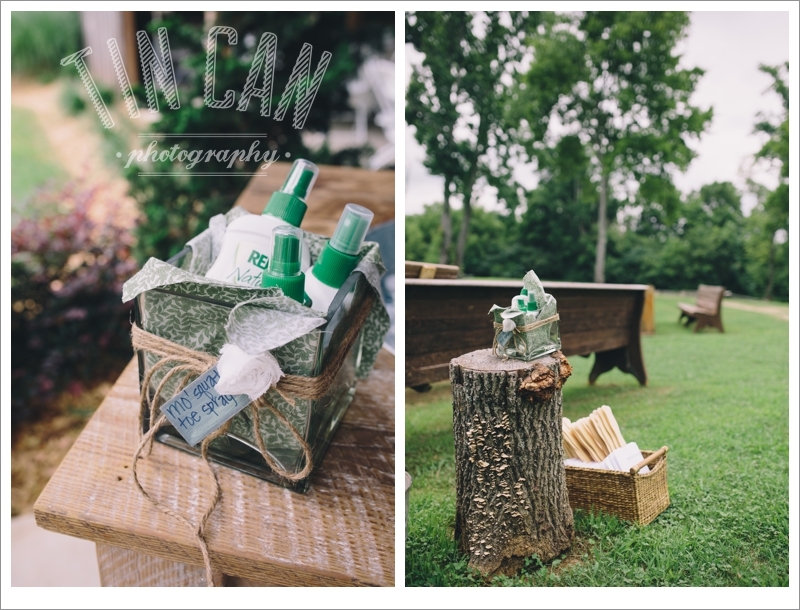 Hope this helps you and your guests enjoy your outdoor wedding!